Walking into a small church for the first time can be an act of great vulnerability. Friendliness is more important in a small church than in a big church. Not more likely, but more important. Here’s why. People are only capable of having relationships with so many people. So we behave differently in a large crowd than we do in a small group. When there are hundreds or thousands of people in a room, we expect to be an audience, so we become one. Even the presence of more than a few dozen people causes us to slip into the role of passive observer instead of active participant. That’s not to say that a large crowd is bad, but the mere fact of its size causes us to act more passively, even in church. But it’s different in a smaller group. We expect people to say hello. We hope for connection. We want to be a part of the conversation. People expect a degree of anonymity in a big church. So if they feel a little lonely, that’s okay. It’s part of the price they expect to pay for bigness. They just put on their big crowd face and soldier on. But in a small church, it’s very different. Walking into a small church for the first time can be an act of great vulnerability. They know there won’t be anywhere to hide. People come to a small church hoping for personal connection. People come to a small church hoping for personal connection. They often want it so badly that they feel frightened and exposed by the mere fact of driving into the parking lot. So when someone feels ignored in a big church, it’s pretty bad. But when someone feels ignored in a small church, it can be downright brutal, even scarring to their heart and their spirit. An unfriendly small church can be a dangerous thing. Big churches are usually aware of crowd dynamics, so most of them work really hard at overcoming the pull towards anonymity. Many of them succeed and are very friendly. It may even be one of the reasons they became big. Friendliness, warmth and connection are not automatic in any church. 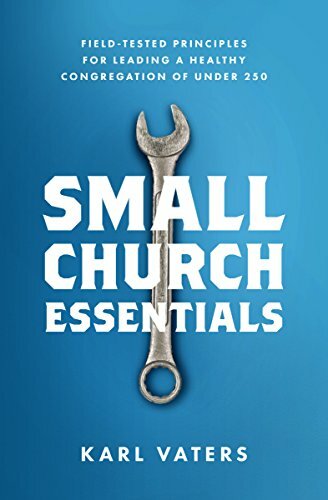 Small churches need to work just as hard at friendliness, warmth and connection as our large church counterparts do. Maybe even harder, because friendliness is more expected and needed when the crowd is smaller. A friendly church doesn’t just happen, no matter how big or small it is. Church leaders have work at it, train people for it and be constantly vigilant about it. Don’t assume your church is friendly just because the regulars have to be herded out the door so you can lock up and go home.